Pre-Registration: By MAIL or Spirit Lake Chamber of Commerce online. Parking Available at the Library, Public Parking Lots and Side Streets. NO PARKING ON HILL AVENUE! 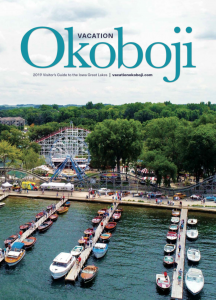 Click here to view or order a Vacation Okoboji guide.